Usher and his wife of two years Grace Miguel are heading for divorce. The couple confirmed their split on Monday in a joint statement to Us Weekly, but now we are learning that their divorce is almost certain and his herpes scandal has everything to do with it. Last year, several women and at least one man came out publicly accusing Usher of exposing them to herpes without their knowledge. The R&B singer also settled a herpes lawsuit for $1.1 million a few years ago. Sources are now saying that the drama surrounding his herpes scandal and the multiple accusations put a strain on the couple’s marriage. Usher and Grace Miguel released a joint statement confirming their separation. “After much thought and consideration we have mutually decided to separate as a couple,” the statement reads. 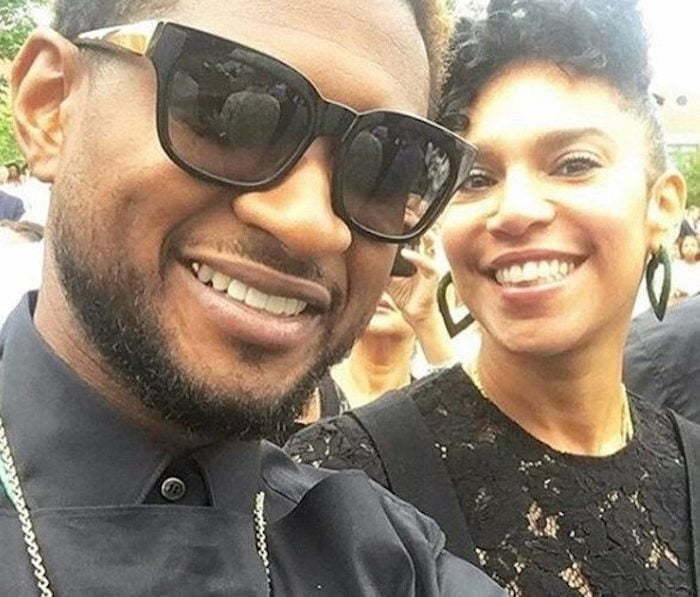 Usher and Grace Miguel got married in September 2015 in a secret ceremony after he proposed to her in January of that year. The singer was previously married to Tameka Foster with whom he has two kids with, 9-year-old son Naviyd Ely Raymond and 10-year-old son Usher Raymond V.